This report has been prepared by the ETN Project Board, which provides an independent support to new initiatives or issues brought to the ETN platform. It includes reccommendations on key research topics of gas turbine development based on the current market outlook and the users’ demand. 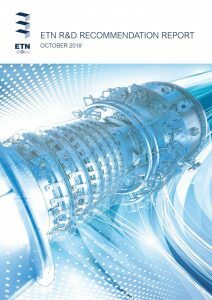 The Micro Gas Turbine Technology Summary has been produced by a technical Working Group composed by MGT OEMs, Heat Exchangers Manufacturers and R&D Institutes coordinated by the European Turbine Network (ETN). 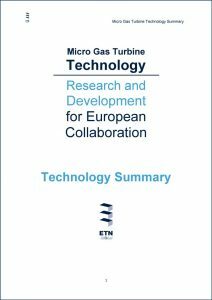 This document aims to identify a number of key areas that require substantial R&D efforts for micro gas turbines from the European community to become competitive in the energy sector worldwide. 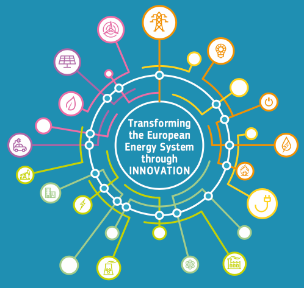 European Union and its member states aim at building an Energy Union, based on 5 pillars: energy market, security of supply, energy efficiency, greater inclusion of renewables and research & innovation. This last pillar is implemented partly thanks to the Strategic Energy Technology (SET) Plan launched by the European Commission. ETN has been very actively contributed to its design and development. You can find here the most recent updates and developments achieved by ETN and/or within the stakeholders of the SET-Plan.